Tuesday March 1st Field Trips! We here at the Dirty Grind Independent Artist community like to keep our followers and group members aware of the Artist’s schedules, even when they aren’t playing in-house. Without further adieu, here’s your March 1st Dirty Grind Family lineup! 9am Field Trip! ” The Vinnie Show ” @ Kickin! 8pm Field Trip! Reggie Sunset @ Villa Lobos! 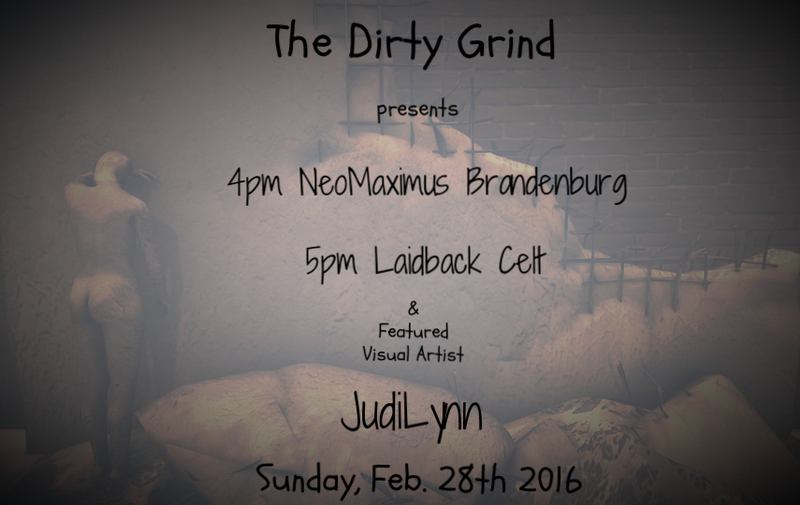 Sunday, Feb. 28th Live @ The Dirty Grind!! 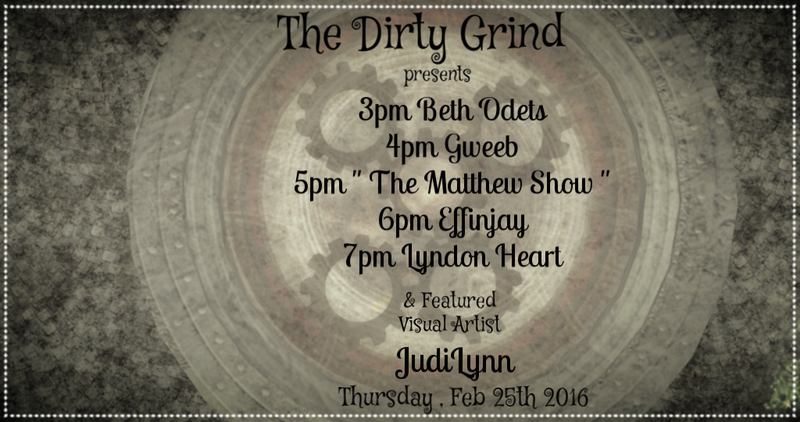 This Sunday February 28th 2016 , The Dirty Grind Independent Artist Community requests your presence for 2 full hours of 100% live music for your listening pleasure! 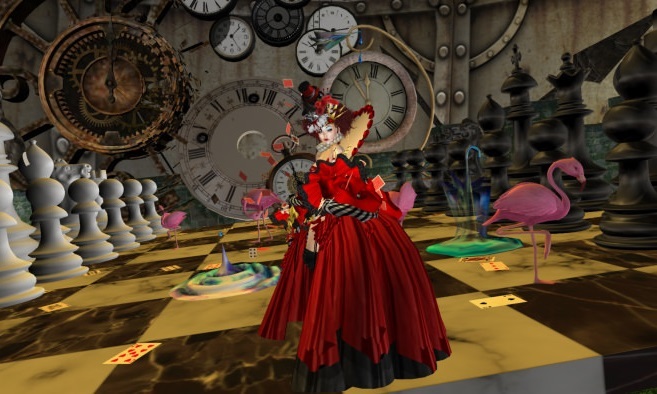 While you’re here , make sure to check out our Featured Visual Artist JudiLynn’s wonderful virtual gallery! Friday Feb. 26th Field Trips!! We here at The Dirty Grind Independent Artist Community like to keep all of you informed as to the whereabouts of our amazing artists, so you can catch them live as much as possible. So without further adieu ..here’s Friday’s Field Trip Lineup! 1pm Field Trip! Strum Diesel @ Wild PonyGirls Theater! 5pm Field Trips! David Csiszer & Wald Schridde! Wald Schridde @ Rennaisance Island! 7pm Field Trip! Laidback Celt @ Roadhouse Campfire! 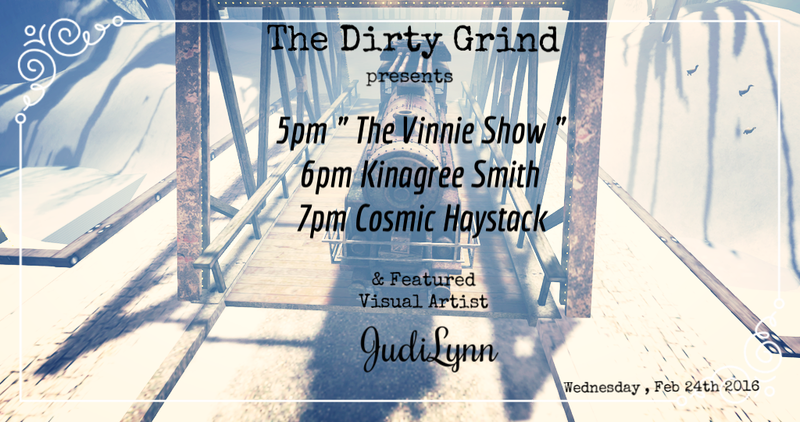 We at the Dirty Grind Independent Artist Community invite you to join us on Thursday, February 25th for five ( That’s right I said it…. ) , FIVE continuous hours of 100% live music. 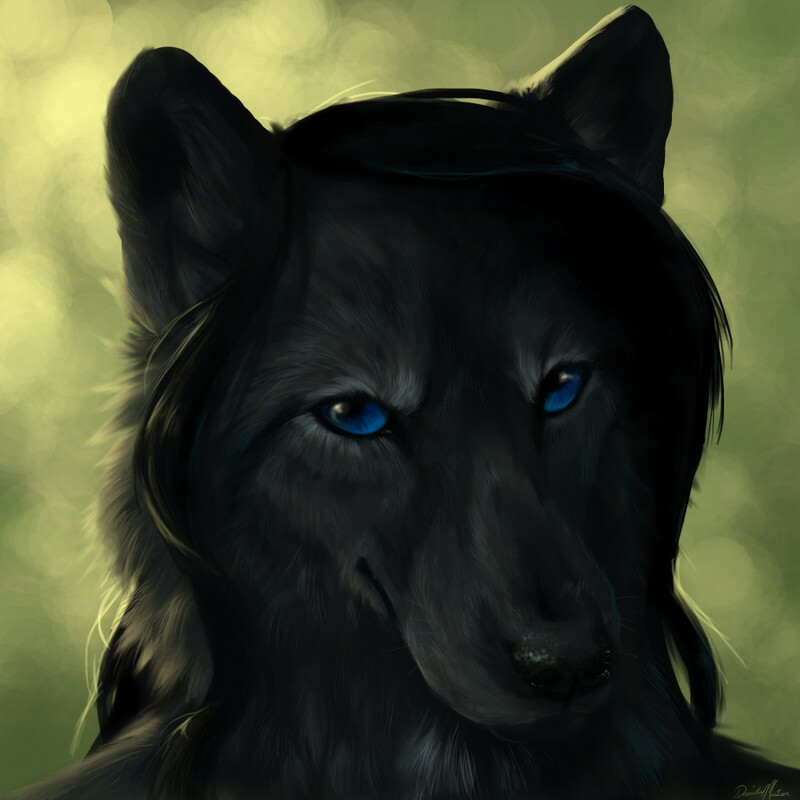 While you are undeniably enjoying the lineup of talented musicians, please check out the wonderful artwork of our Featured Visual Artist JudiLynn! Bring your family , friends , lovers and neighbors to the venue, it’s sure to be a heck of a good show! Please join us this Wednesday, February 24th for 3 entire hours of completely LIVE music. During your stay, please feel free to check out our Featured Visual Artist JudiLynn’s engaging exhibition. They fused the melodic influences of the Irish music traditions with an American Folk rock feel. 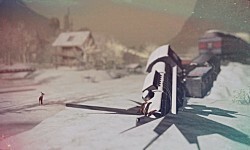 The sound was both unique, and familiar at the same time.